How to Remote Desktop ? It’s not a stretch to say that remote desktop has been one of the most useful advancements in the computing age of technology. This allows modern IT organizations to maximize their efficiency and drive up work productivity. Though there are a couple of ways on how you can remotely access another desktop, we’ve found two of the easiest remote desktop solutions available out there. These are through Windows RDC or a third-party software. How to Remote Desktop – What is Remote Desktop? The term remote desktop is defined as the ability to access and control another computer remotely without the need for a physical intervention. People use remote desktop to perform a bunch of tasks on a remote computer as if they’re physically in front of it. With this technology, they can fix a computer problem, perform administrative tasks, and access important files. Modern IT organizations, on the other hand, use remote desktop to provide remote service to clients. IT professionals who have clients from different locations can use remote desktop to offer off-site service without needing to leave their office desk or office. This cuts costs on travel expenses and saves big on time and effort. In-house IT teams and Manage Service Providers (MSPs) can also use remote access to serve a bunch of devices within a corporate network. With remote access, they can easily manage, assess, and monitor these devices to mitigate and solve any technical issue. In the end, it makes their work a lot more productive and gets their job done a lot faster. There are several ways on how you can access another desktop remotely. However, we’re only going to focus on two of the easiest remote desktop solutions out there. How to Remote Desktop Step 1: Open the Start Window. How to Remote Desktop Step 2: Type in Remote Access. How to Remote Desktop Step 3: Click on Allow remote access to your computer. How to Remote Desktop Step 4: Click on the Remote tab on the System Properties window. How to Remote Desktop Step 5: Select Allow remote connections to this computer. How to Remote Desktop Step 6: Note that things can look a lot different on Windows 7. The choices, however, are practically the same. How to Remote Desktop Step 7: Click on OK. It is important to note that Windows RDC, generally, can only be used on the same network. If you’re planning to establish a remote connection using RDC, then you may be required to perform additional steps. You’ll either need to establish a Virtual Private Network (VPN), or expose your computer directly to the internet. If you want a more professional and accessible remote desktop solution, then you can invest in a third-party software. This will allow you to access and control a remote computer or network from anywhere at any time. The good thing about this is that most third-party remote desktop tools enable users to make remote connections without using the same network. Most remote desktop software need to be downloaded and installed on the local and remote computers first. Then, the former needs to have the right credentials in order to connect to the remote computer from a distant. Once connected, the local device can now control and perform several tasks on the remote computer. This option is great for IT professionals who provide freelance and offsite service. 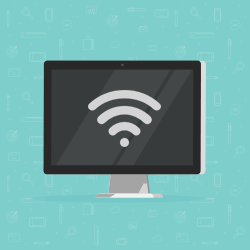 With a third-party software, they can connect to their client’s device remotely even outside of their network. MSPs can also use this technology to assist a bunch of corporate devices with different networks. There are still a few ways on how to remote desktop another computer. However, the options we’ve provided are the easiest and simplest remote desktop solutions available out there. Now that you know how to remote desktop another computer, it’s time for you to add this technology to your work functions. Does How to Remote Desktop Setup is helpful?